Postal Connections helps people and businesses needing to complete everyday business tasks as well as larger projects. We are a one stop shop with deep roots in packing and shipping. However, we are much more than just a pack and ship store. Our services include mailbox rental, notary services, faxing, b/w and color copying, custom print and design services, retail office and shipping supplies, stamps, laminating, shredding, and computer rental with internet access. Many stores also do passport photos, fingerprinting and more. We offer 20+ different services and products for all your business needs! Winter is coming and so are the holidays! Yes, it’s almost that time again. Autumn is here and right on its heels will be the holidays! Please keep us in mind for all your holiday shipping. We also do profession packing and custom box creation for those hard to fit items. And we have shipping options to get your package there safe and on time! 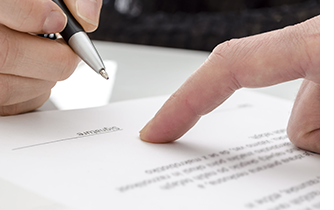 You’ve heard the term “Notary Public” …but what exactly is a notary public? By whatever name, a notary, public notary or a notary public, the term refers to a public officer serving the public in non-contentious matters including real estate transactions, deeds, powers-of-attorney, and some foreign and international business. The main functions are to administer affirmations and oaths, to witness and authenticate signatures on certain documents and to take statutory declarations, affidavits and perform other common-law type duties. You may have used them in real estate transactions, wills and other documents requiring authentication of signatures. Notaries use an official state issued stamp that they receive after being certified by that state. To become a notary you need to meet the age, residence and domicile requirements and in some states you must take a state mandated education notary class and pass the notary exam. You must also be bonded so will need to undergo fingerprinting and pass a background check. Most Postal Connections locations have a Public Notary on staff but please call ahead for availability. Please note, not all services are offered at all locations.